Right now I’m a fortunate son. Because I’m listening to John Fogerty’s new take on the classic Credence Clearwater Revival song of the same name (with the Foo Fighters) from Fogerty’s upcoming album Wrote A Song For Everyone. 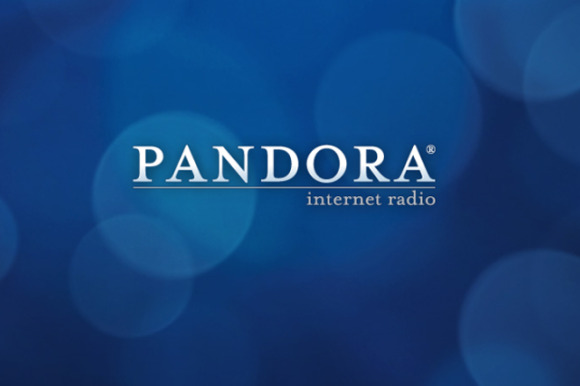 And that’s thanks to Pandora Premieres, a new station from Pandora that launched on Tuesday. Pandora has become an incredibly popular service because it lets you listen to the music you like for free (never mind those pesky ads) as stations based on artists, genres, or composers. But unlike subscription music services a la Spotify, you don’t get to choose complete albums. The new Pandora Premieres station offers the ability to listen to a few albums—before they’re even released. Up to one week ahead of their scheduled U.S. launch dates, to be exact. 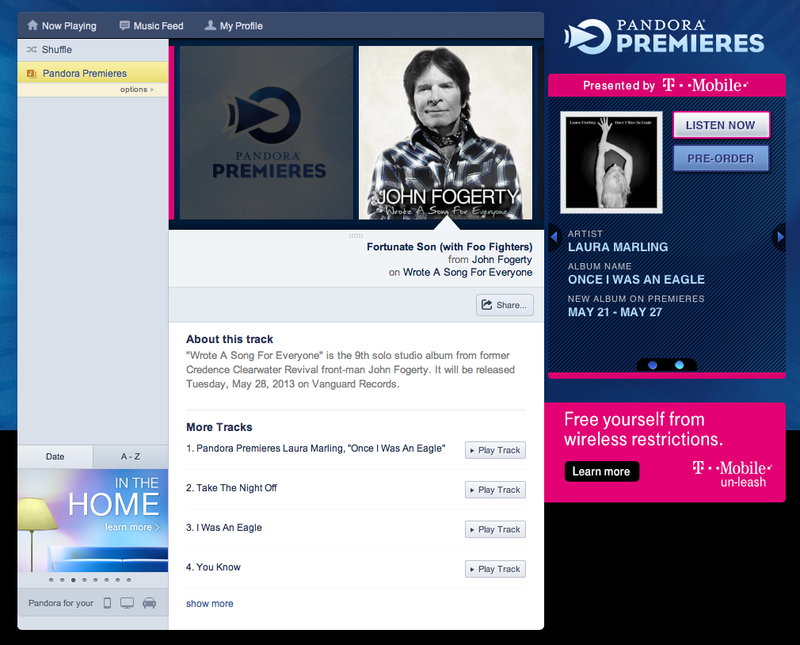 The new Pandora Premieres station. The station debuts with the aforementioned Fogerty album, as well as Laura Marling’s Once I Was An Eagle, both available to stream from May 21 through May 27, ahead of their May 28 release dates. If you haven’t heard of Marling (I hadn’t) that’s because Pandora is planning to mix established artists with up-and-comers and change albums on a regular basis. To add the station, type Pandora Premieres into the search box and select it in the results.